Ti m began his music training as a Choral Scholar at St Andrew’s Cathedral School and has devoted most of his life to teaching, conducting and singing. He has directed many Sydney based ensembles including the Willoughby Symphony Choir, Coro Innominata, the Joubert Singers, Sydney Philharmonia Choirs and Sydney University Musical Society, and was founding artistic director and conductor of VOX and Polyphony. Tim is also the conductor of the Radio Community Chest Combined Church Choir’s annual performance of Messiah which is held in Sydney Town Hall each December. Tim has also conducted Joseph and the Amazing Technicolour Dreamcoat (2007, 2011), the Sound of Music (2008) and Oliver (2009) for Artes Christi Performing Arts in the Seymour Centre, Sydney. In 2010, he was the Musical Director for MACKILLOP – The Musical. Later this year, Tim will conduct Fiddler on the Roof. As a freelance singer, he has performed extensively in Sydney, Melbourne, Newcastle and Regional NSW and is regularly engaged as a soloist with the Australian Brandenburg Orchestra and Choir (Allegri, Buxtehude, Bach, Vivaldi, Handel & Mozart) under the direction of Paul Dyer. He has been alto soloist in over 30 cantatas for the Sydneian Bach Choir Cantata Series at Sydney Grammar School. Tim has also performed as a soloist with Sydney University Graduate Choir, Coro Innominata, Newcastle University Choir, Joubert Singers, St Andrew’s Cathedral Choir, the Marais Project, Recital with Tommie Andersson (Lute Songs), St Mary’s Cathedral Choirs, Willoughby Choir, Leichardt Espresso Chorus, the SBS Youth Orchestra and many other ensembles. As a professional chorister, Tim has performed in numerous recordings and concerts with Cantillation for ABC Classics and the SSO, Pinchgut Opera (Handel, Purcell), the Song Company (Sydney Entertainment Centre with “The Priests”) and ACO Voices. He was the countertenor soloist for the 2011 Australian Brandenburg Orchestra season of “Celestial Vivaldi” and the 2012 “Eternal Bach” series. He is currently principal conductor of the Macquarie Singers and Head of Music (Performance) at St Aloysius’ College, Kirribilli. 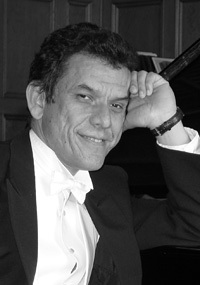 Colombian-born Dr Carlos Alvarado started his musical career as a pianist under Maestro Jorge Zorro, one of the leading personalities in the Colombian music education system. Having won a full scholarship from the Colombian Institute of Credit to study in Russia, Carlos obtained his Doctorate of Opera and Symphonic Conducting at the Tchaikovsky Conservatorium of Music in Moscow where he studied under Gennady Rozhdestvensky. He also undertook higher studies in choral conducting, piano theory and voice technique, and was awarded a Master of Fine Arts degree in choir conducting from the same Conservatorium. In 1990-92, he was invited by Professor Hellmuth Rilling and the International Bach Academy of Stuttgart to take part as an active conductor in various courses and festivals with the Bach Collegium Orchestra and the Gachinnger Kantoire Choir in Stuttgart (Germany), Moscow and Santiago de Compostela (Spain). Carlos returned to Colombia after finishing his academic studies. He was guest conductor of the main Colombian orchestras, conducted several groups, choirs and ensembles and taught conducting in most of the important universities in Bogota, Colombia. At that time he took part in various international competitions in Brazil, Russia, Spain and Italy. Since his arrival to Australia in 2002, Carlos has been an active and committed musician. In 2004 he was the co-founder of the Wollongong Symphony Orchestra, an orchestra that became a symbol of the cultural development in Wollongong and the Illawarra region. He has also founded a variety of choirs and music ensembles, most recently Cantares, a choral ensemble with members from the Shoalhaven, Illawarra and Wollongong areas. Carlos has worked with Australian and International musicians in many styles – jazz and pop as well as classical, including such artists as James Morrison, Timothy Kain, Konstantin Shamray, John Chen, Tatiana Kolosova, Alexandra Loukianova, Deborah De Graaff and Emma Moore. Joanna is currently a part-time Lecturer in Musicology and Honorary Research Affiliate at the Sydney Conservatorium of Music. She is also the Publications Specialist for the Australia Ensemble at the UNSW Music Performance Unit. She has worked as a conductor, violinist/violist and string teacher for 25 years and has given clinics and presentations on string playing and orchestra training. In 2009, Joanna earned her Doctor of Philosophy in Musicology from the Elder Conservatorium of Music. Her PhD thesis, entitled, ‘A Hidden Treasure: Symphony No. 1 by Robert Hughes’ was awarded the University of Adelaide’s Inaugural Doctoral Research Medal. A major part of the dissertation was the editing of the Symphony, which is published by All Music Publishing and Distribution. In 2012 Joanna conducted a broadcast recording of this new edition with the Sydney Youth Orchestra for ABC Classic FM. This event was the subject of an ABC Classic FM ‘Music Makers’ documentary which was broadcast in December 2012. Joanna has a Masters in Music from the University of Texas and has degrees in Music Education and Violin Performance from the University of Western Australia and the Canberra School of Music. She has participated in conducting masterclasses in New Zealand and the USA and studied with conductors inluding Matthias Barnert, Murry Sidlin, Miguel Harth-Bedoya, Timothy Muffitt and David Effron. Previously, Joanna held positions as music director of the University Orchestra at UT Austin, music director of the Christchurch Youth Orchestra and conductor for the Adelaide Youth Orchestra Association. She has initiated collaborations, commissions and premieres, and many of her performances have been broadcast on NZ Concert FM and local radio stations in Adelaide. In 2008 Joanna’s orchestra, the Adelaide Youth Sinfonia, was the feature of an ABC Classic FM documentary, ‘From Pen to Performance’, documenting the rehearsal preparation and performance of an Australia Council-funded new work by Australian composer, John Polglase. Joanna has also been guest conductor in New Zealand for the Christchurch Symphony, Nelson Symphony, Universit of Canterbury Chamber Orchestra and St Matthews Chamber Orchestra and in Australia for the Elder Conservatorium Symphony Orchestra, Burnside Symphony Orchestra and SBS Youth Orchestra. Recent engagements have included conducting the Australian Doctors’ Orchestra and the Woollahra Philharmonic. Joanna is active as a performer and has played professionally as a violinst/violist in orchestras and festivals in the USA, Germany and Australasia. As an educator she has taught violin and viola in WA for the School of Instrumental Studies, the Canberra School of Music Preparatory Program, the University of Texas String Project and the Elder Conservatorium of Music. In 2011/12 Joanna received a State Library of Victoria Creative Fellowship which has allowed her to undertake further research on Robert Hughes and to edit works for chamber orchestra and in 2013/2014 she has initiated research projects and activities at the Sydney Conservatorium of Music that focus on the music of Australian composer Raymond Hanson. Adrian graduated with honours in Theatre Studies from the National University of Singapore. His significant participation in Music and Theatre has distinguished him as a unique multi-disciplinary artist with an impressive repertoire of work and achievements in Singapore and overseas. He studied conducting with Harold Farberman, Robert Gutter and Ovidiu Balan, and also participated in masterclasses with Gunther Herbig, and in wind and choral conducting with Jan Cober and Hans Leenders respectively. A recipient of the prestigious National Arts Council (Singapore) Overseas Scholarship, he is currently completing his Masters in Music Studies (Conducting) at the Sydney Conservatorium of Music studying with Imre Pallo, Stephen Mould and Neil McEwan. Adrian has led wind bands and orchestras at the community as well as professional levels. He actively champions the music of Singaporean composers and has been given the honour to present premieres of compositions by Americ Goh, Zechariah Goh Toh Chai, Ho Chee Kong and Phoon Yew Tien. In 2005 he formed and directed the New Festival Orchestra to perform Rachmaninov’s 2nd and 3rd Piano Concertos with renowned pianist Tedd Joselson for the 30th Anniversary of his professional debut. 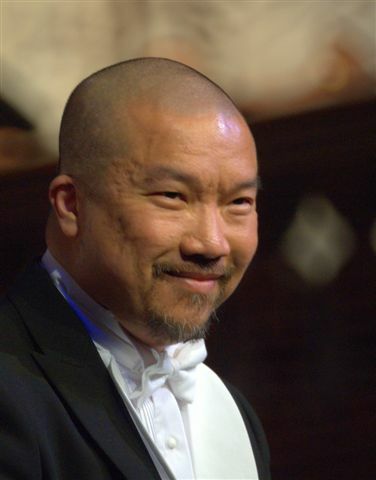 Adrian has appeared regularly as a guest conductor with the Vietnam National Symphony Orchestra, the Bradell Heights Symphony Orchestra (Singapore) and the Beecroft Orchestra. In 2010, he was the Assistant Choir Master of the Willoughby Symphony Choir. He also served as assistant conductor to Maestro Pallo in the production of Otto Niclolai’sMerry Wives of Windsor, and as the Musical Director of Darius Milhaud’s Les Malheurs d’Orphee at the Sydney Conservatorium of Music. Engagements in 2011 include appearances with the Mosman Symphony Orchestra, at the Sydney Conservatorium of Music and return engagements with the Filharmonica Mihail Jora di Bacau (Romania), Bradell Heights Symphony Orchestra (Singapore) and the Beecroft Orchestra. He was appointed Music Director of the Sydney University Wind Orchestra for 2011. Danika joined Mosman Orchestra as the principal clarinettist in 2005, and has remained a dedicated orchestra member ever since. Conducting is something Danika has always been passionate about, and she is particularly grateful for the opportunity to work with the orchestra for the Peter & the Wolf concert. Aside from appearing as guest conductor with Mosman Orchestra, Danika also conducts the Inner West Community Band (IWCB). IWCB is a group Danika co-founded at the beginning of 2010, in order to provide a much needed community-based ensemble for woodwind, brass & percussion players of all ages. The group has been extremely succesful, as was evident in the band’s result of 2nd place in the Graduate and Community Concert Band section of the Sydney Eiseddfod. As well as conducting, Danika is involved in music in many ways. In 2008 she achieved her A.Mus.A on clarinet, and she is currently the tutor of 30 budding young clarinet and saxophone players. She also plays trumpet as part of the Sydney University Wind Orchestra, of which she is president this year. Danika greatly enjoys teaching music, and is currently studying a Bachelor of Music (Music Education) at the Sydney Conservatorium of Music, with a hope to inspire many young musicians. Mark is a double graduate of the NSW State Conservatorium of Music, having gained both a Bachelor of Music (Honours) in Trombone Performance (1996) and a Certificate of Piano Tuning and Technology (1982). He studied trombone with Arthur Hubbard and Ron Prussing as well as conducting with Henryk Pisarek. His professional trombone credits include Sydney Symphony Orchestra, Australian Opera and Ballet Orchestra, English National Ballet, Sydney Philharmonia, Sydney seasons of Phantom of the Opera, Les Miserables, Beauty and the Beast, Miss Saigon, Crazy For You, My Fair Lady, the Merry Widow, the Mikado, Michael Crawford Australian Tour, NSW Police Band, Tommy Tycho, Ed Wilson Big Band, international contracts with P&O Cruises and club gigs, backing variety artists and rock bands. In 1994 Mark was awarded the Bellhouse Memorial Conducting Scholarship and in 1995 was selected for the Ku-ring-gai Philharmonic Orchestra Conductor in Training program under Maestro Henryk Pisarek. During this time he was also assistant conductor to Steve Williams with the Conservatorium Wind Orchestra. He later travelled to the Czech Republic and attended the International School for Conducting studying under Maestros Kirk Trevor, Tsung Ye and Johannes Schafli. From 1990-2005 Mark was director of the large band program at St Patrick’s College Sutherland where he also taught low brass and trombone. Mark also directed the stage band at Sydney Technical High School, was Director of Music at Sutherland Shire Brass and conductor of both concert bands at Port Hacking High School. In 2006 Mark was contracted to the NSW Police Band as guest Principal Euphonium and Trombone. He is currently Director of Ensembles at Manly Selective Campus, Musical Director of Bands at SCEGGS Darlinghurst and Musical Director of the Lane Cove Youth Orchestra’s Wind Orchestra and the Education Department’s Performing Arts Unit Symphonic Wind Orchestra.